Liposuction removes the unwanted diet-resistant collections of fat to reshape your body. Diet and good amount of exercises can help you reduce your weight, yet you may find yourself with stubborn bulges in your abdomen, thighs or arms. Liposuction is a medically proven procedure to address these areas of fat deposits. It can technically recontour these annoying areas of fat permanently. A liposuctioned body can still gain weight, but not in disproportionate bulges since those fat cells have already been removed. This makes liposuction the most popular cosmetic procedure available. The results can be amazing, reducing the inches even though the total weight reduction may be little. During liposuction, the fat is softened or pre-treated with a wetting solution which facilitates the removal of fat (also called as super wet technique). Fat is then suctioned out of the body using a canula through small 3mm incisions made on the concealed parts of the body. Power-assisted liposuction(PAL) is a more recent addition to traditional liposuction wherein fat cells are initially disintegrated inside the body and removed. PAL is most useful in areas of dense fat which includes lovehandles, male breast (gynecomastia) and previously liposuctioned areas. 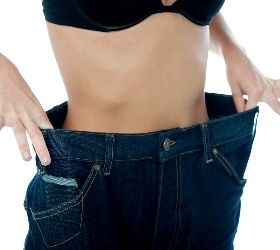 Ideally liposuction works best to smoothen out unwanted bulges. It is not recommended as a safe procedure for significant weight loss. Extremely high volume liposuction is also not recommended as the results are not gratifying and has increased risks. The most requested areas for liposuction in women are abdomen, love handles, buttocks, outer thigh and hips, inner thigh and arms while men seek it for breasts (Gynecomastia), abdomen and chin. Liposuction is an affordable, safe and rapid recovery cosmetic procedure. It can be done as a day care procedure or you may be advised admission in the hospital depending on the number of areas to be addressed. Post-operatively, a custom made compression garment is worn for 6 weeks to reduce the bruising and swelling that is seen in the first two weeks. Usually, 2 weeks after liposuction, the patient can see and feel the changes in their contour even though some swelling is still apparent. The pressure garments help to even out this swelling in the next 4 weeks to contour your body. If you have decided to go ahead with a liposuction, it is also an ideal time to make your lips fuller, fill your under eye tear trough and folds on either side of your nose. Fat liposuctioned from abdomen and thighs can be injected in any of these areas. Large volumes can also be used to enhance breasts. This is the most natural way for breast implants. Fat grafting offers natural feel and movement and is fast replacing hyaluronic acid fillers as a more permanent solution to fill the folds in your face. Choose a certified and experienced Plastic surgeon in a well equipped hospital to make Liposuction in Bangalore a safe procedure. Keep your expectations realistic and go ahead to get amazing results.